A need to improve occupancy lead to a need to update this classic suburban office building. REPOSITIONING – Applying new finish to great old bones lead to 100% occupancy. 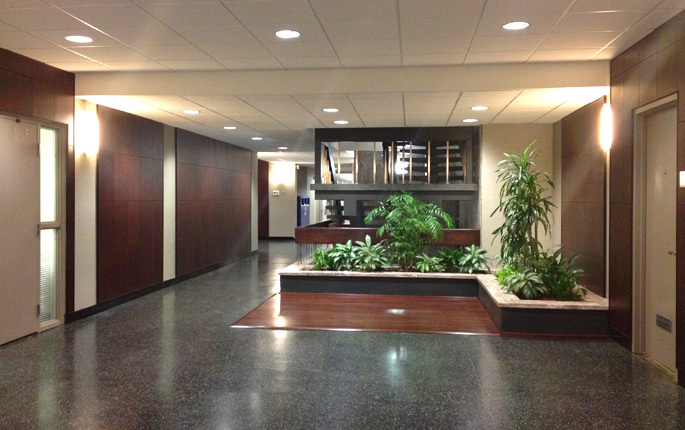 Pried away carpet covering classic terrazzo flooring, matched all wood stains, new wallcovering and wall protection, new paint and light fixtures, and welcome to the modern world: a digital directory. Carol Currotto provided design and documentation for this Heath Design Group project.